you're bound to have fun! Team Building Can Be Fun! We can help create a successful event on-site or off-site, bringing all of our materials and expertise with us. Cost will vary depending on location and amount of participants. You can bring your own food, or have our staff help facilitate this for you. 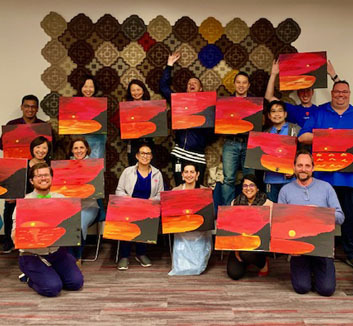 Private party events usually last between 2-3 hours in length and include one (1) expert instructor per 20 painters to guide you along the way, access to our paints/paint brushes, your own canvas to paint on and take home with you at the end of the session. Group discounted rates on all parties over 10 people. Each package includes an 8"x10" canvas for each child to paint on and take home with them, paints/paint brushes/clean up and an expert instructor to lead your party in the painting fun! We specialize in engaging children with age and gender appropriate painting themes and activities. Our staff will be there every step of the way to create a fun and action packed party environment. 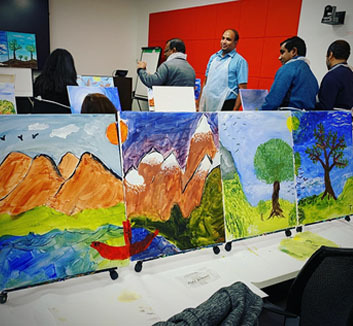 We have hosted many Girl Scout and Boy Scout painting events that help children realize their artistic abilities. What are you waiting for? 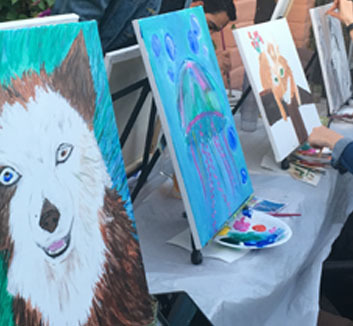 Join one of our upcoming Paint Your Pet events and paint your walking buddy, your confidant, your best friend. See upcoming dates here. 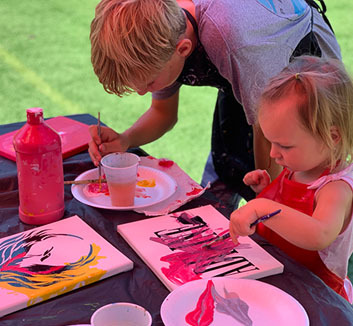 Whether your child chooses from one of our existing painting options, see them here, or we create a custom design for their special day, your child and their friends will have fun doing something new and artistic! Find out more info about these types of parties here. Spring is around the corner, and the best time to be creative is when the weather changes. Why not celebrate Spring and all the beauty of blooming flowers with a painting party. Family and friends will love coming together to celebrate each other an art! 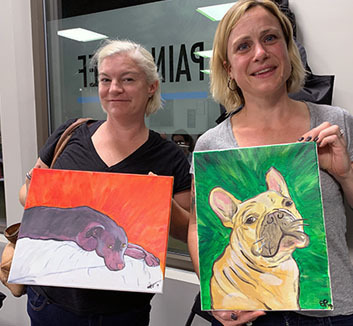 Whether you are a group of pet lovers or like our recent veterinarian group, Pet's Friend, you will love the experience and satisfaction of painting your favorite animal. From fluffy dogs to small dogs, to cats and hamsters; we have done it all!